Music can inspire some of the most absurd ideas. Like this illustration inspired by Flying Lotus! 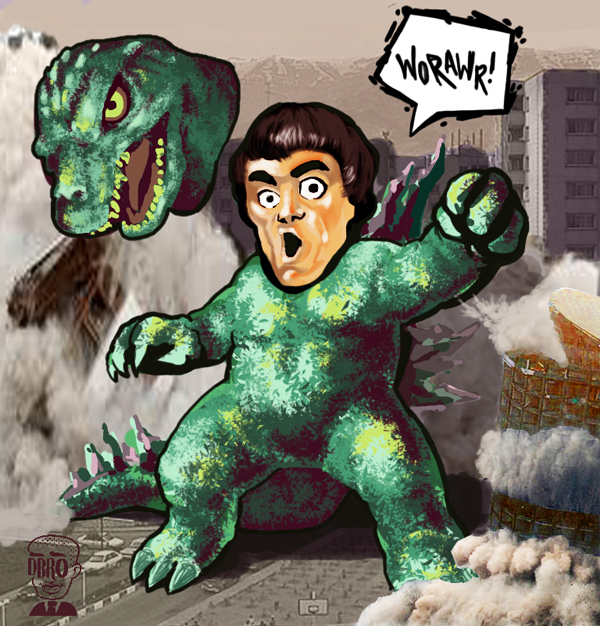 Listen to the beat: The rhythmic chops and trombone loops reminds me of Godzilla trampling through Tokyo and then when the vocal track welcomes, it is a reminiscent vocal loop; like a cant from Bruce Lee. (Well, maybe not how Bruce Lee actually sounded, but I hope you got the imagery.